We're super crushing on this knit top right now! It's the perfect winter piece that you'll be wearing all season long. Features 65% cotton and 35% polyester with a medium stretch for your comfort. Very small, not good quality material, when it arrived the strip of fabric on the back was ripped off so the sweater just slides off my shoulders. 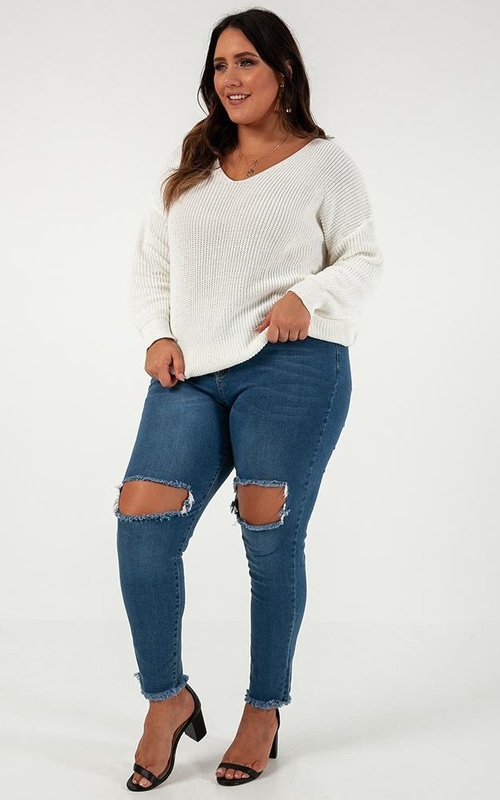 Not good quality for an almost $50 sweater.